FocusMe provides a simple, but effective, UI to manage these periods of focus and relaxation. FocusMe is based on the Pomodoro technique for time management. When faced with any large task or series of tasks, break the work down into short, timed intervals (called 'Pomodoros') that are spaced out by short breaks. This allows you to immerse your mind, and get good work done. 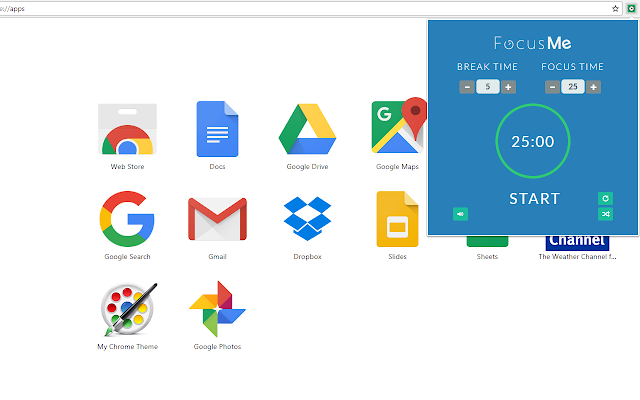 FocusMe: Provides a Pomodoro for focused time management and the ability to block websites to help prevent distractions while you work.